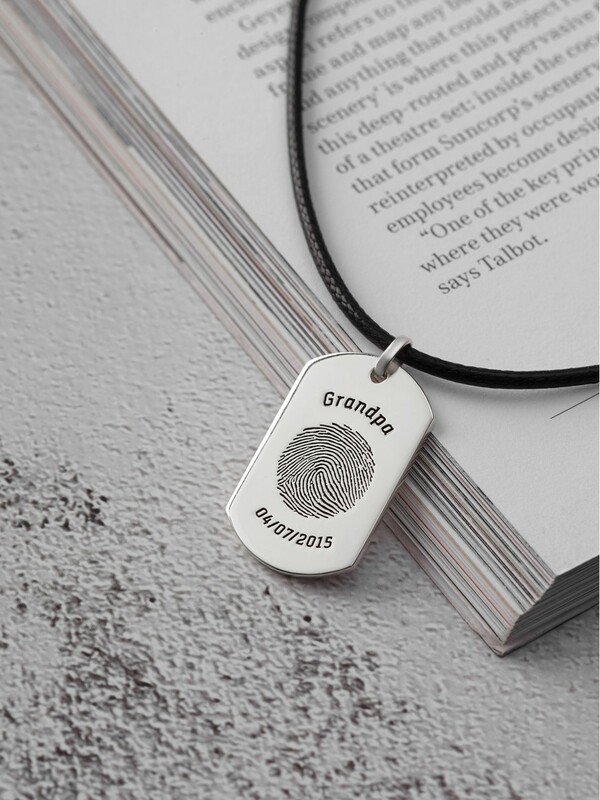 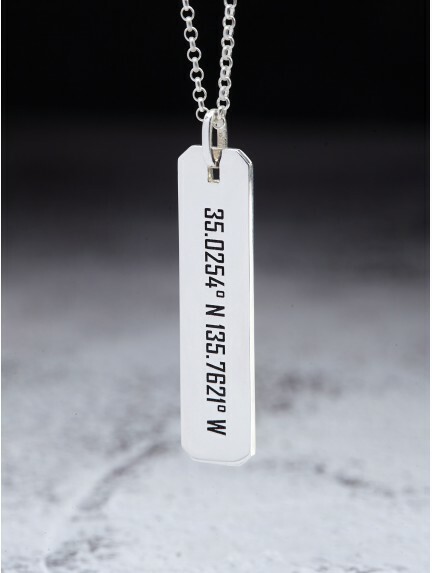 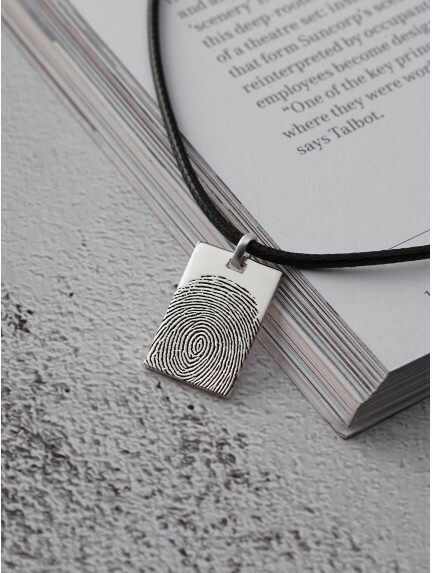 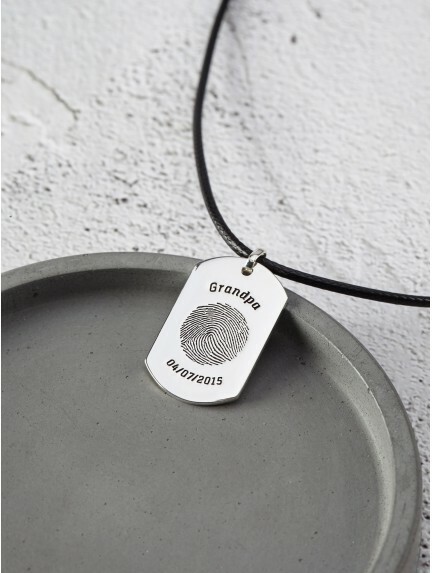 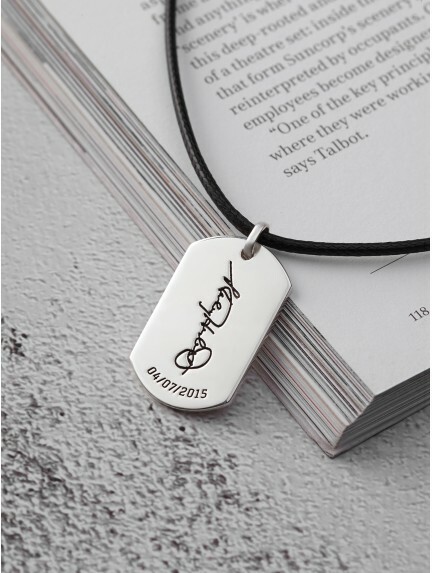 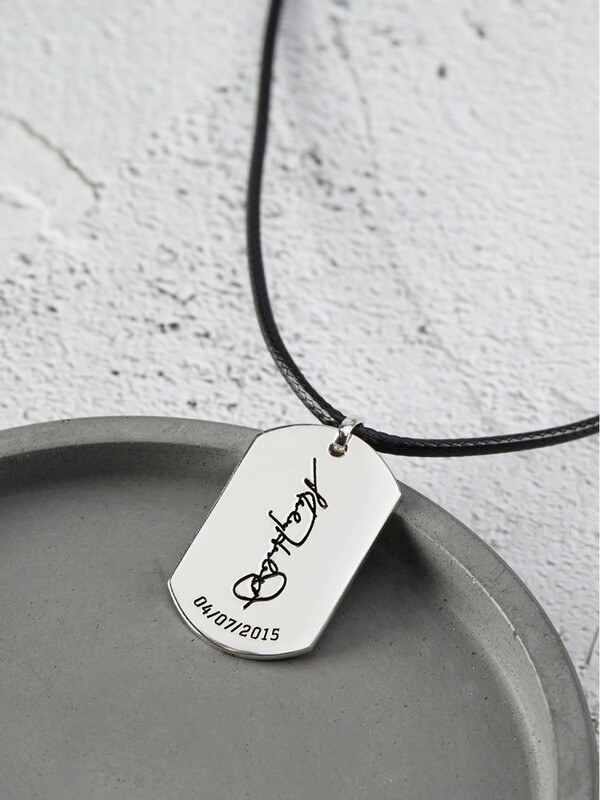 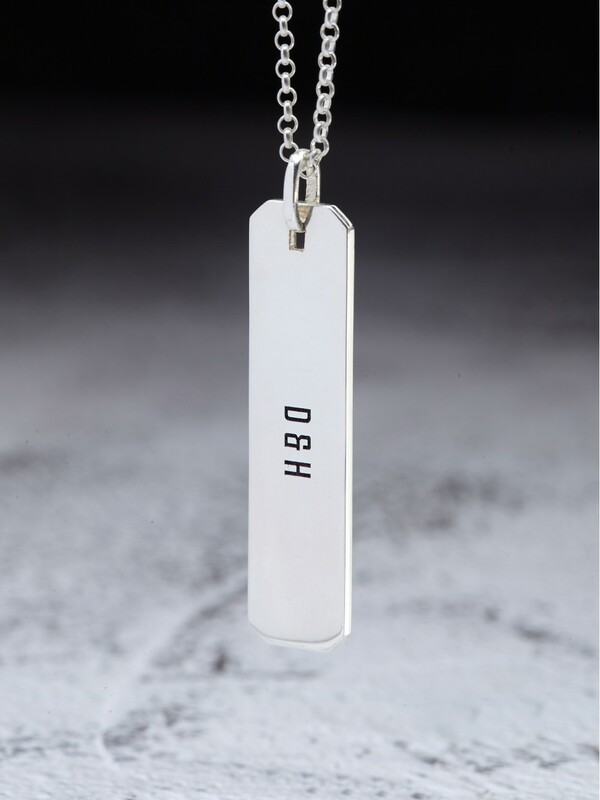 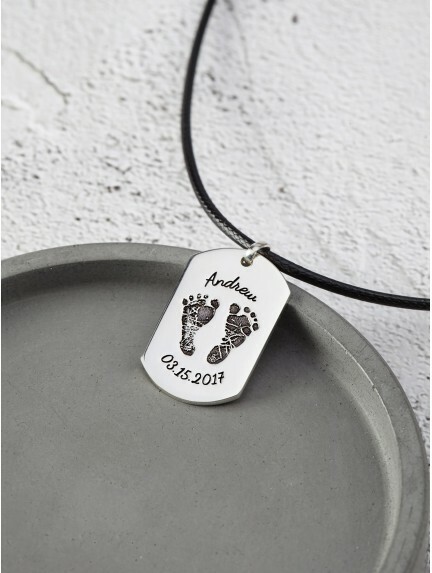 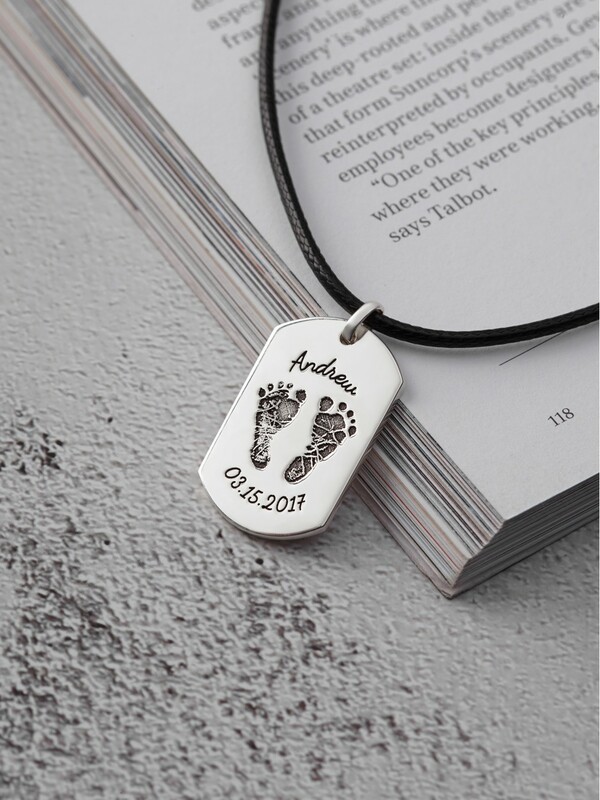 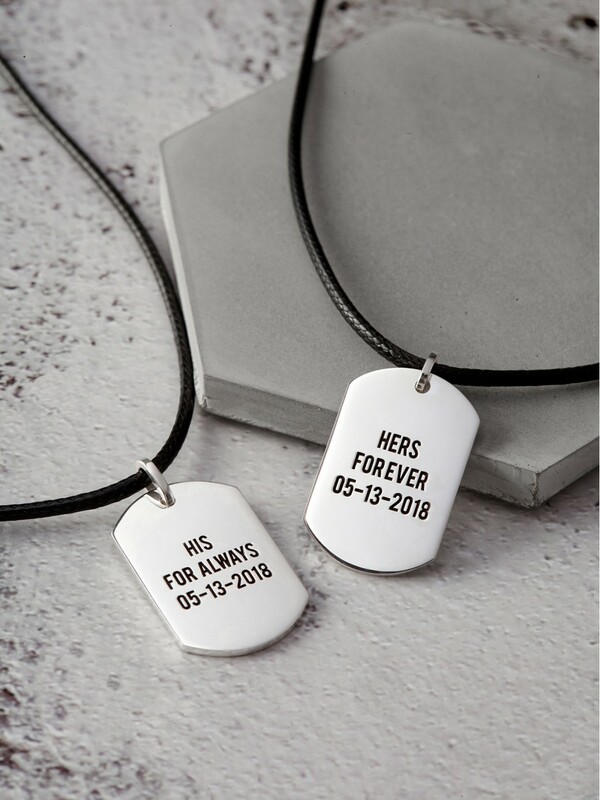 Our personalized dog tags for men come with choice to engrave it with anything you want from couple names, special dates to your fingerprint or handwriting. 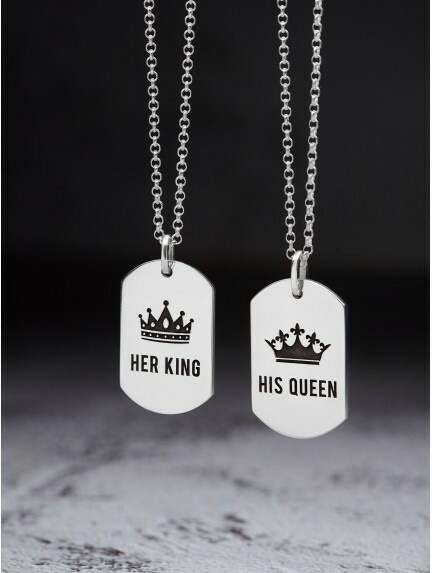 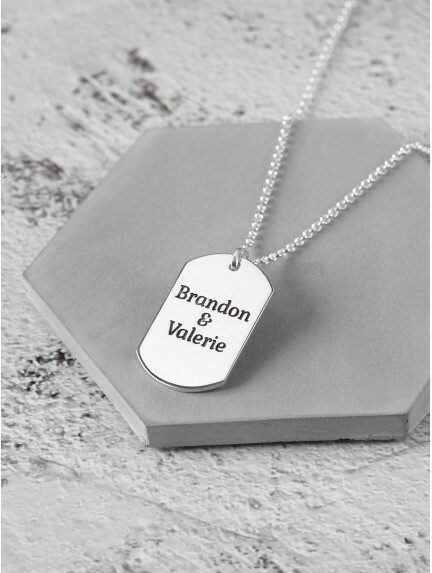 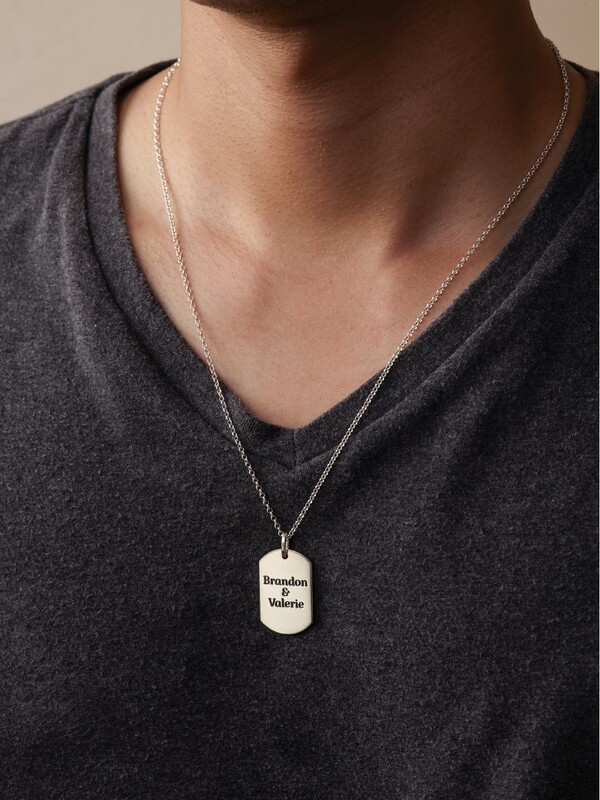 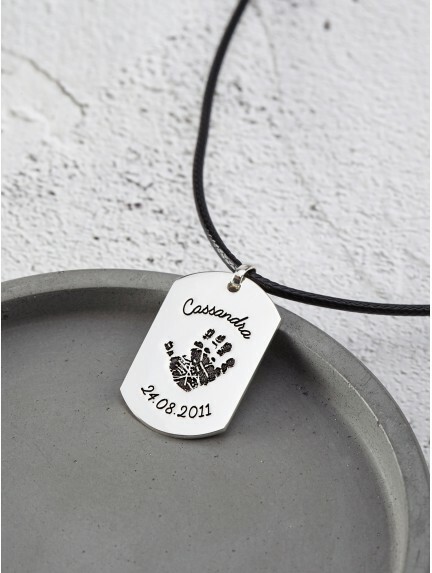 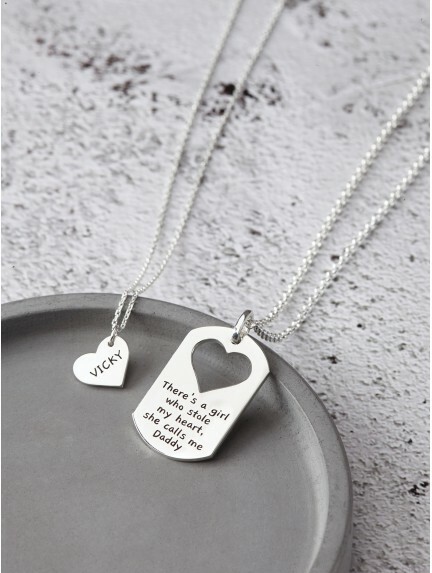 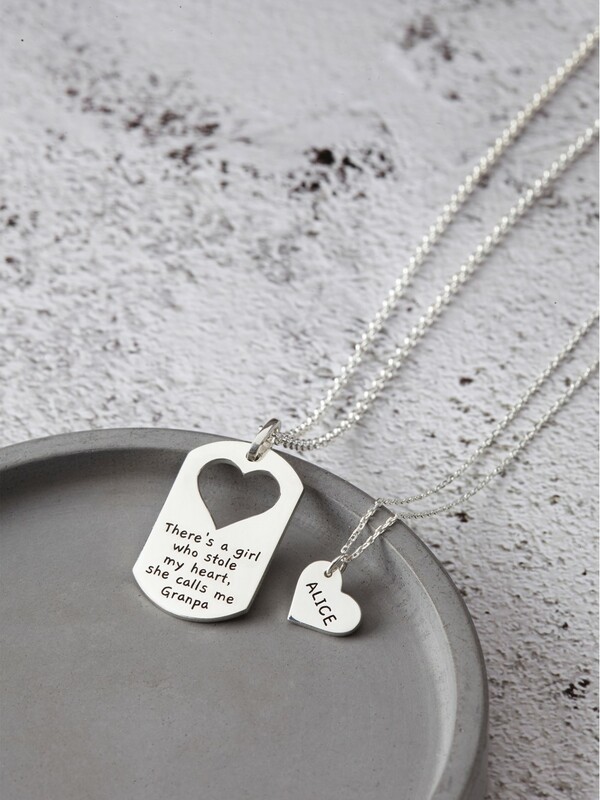 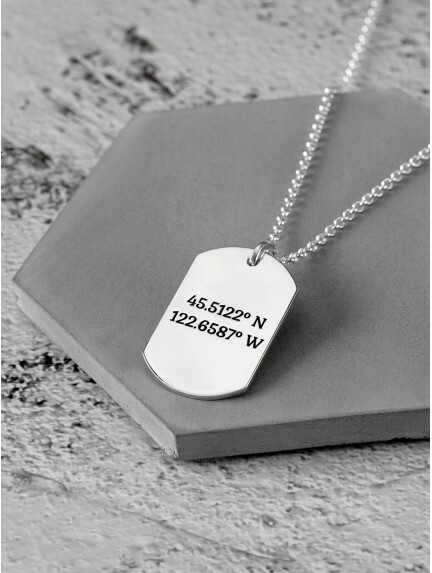 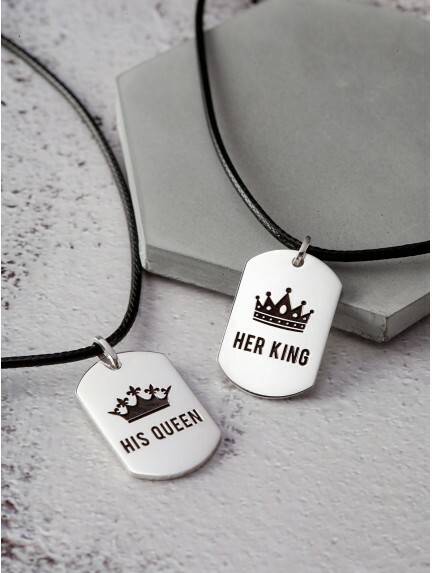 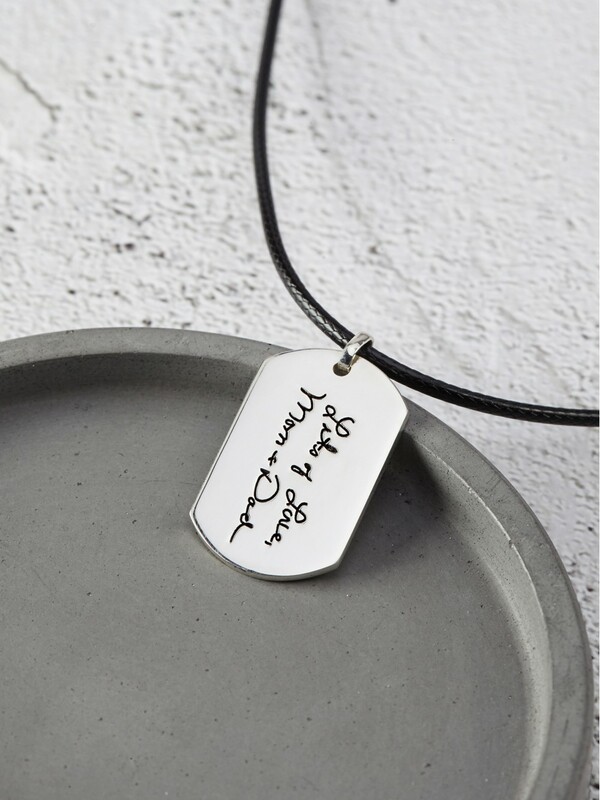 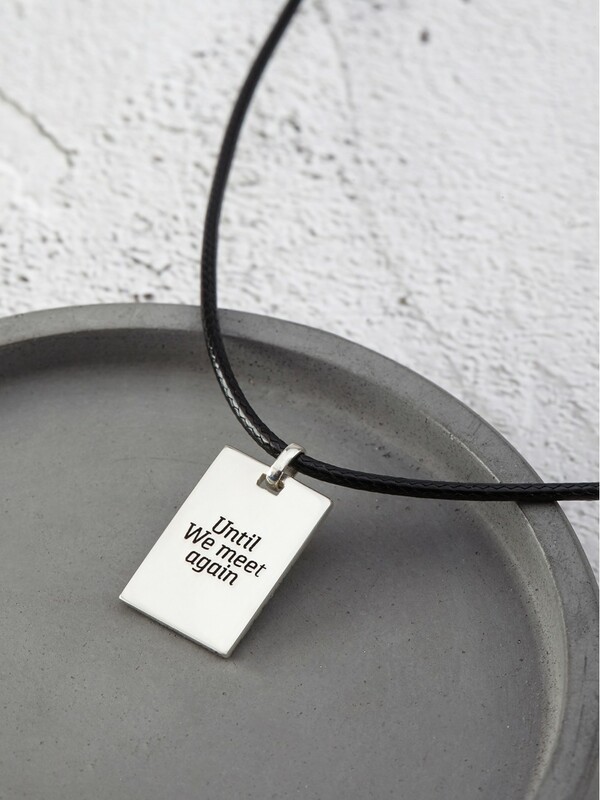 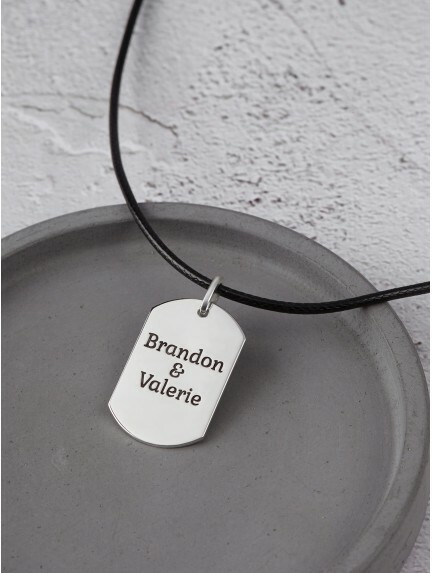 Purchase a men's dog tag necklace with a women's matching necklace to make a perfect pair of engraved couple's necklaces. 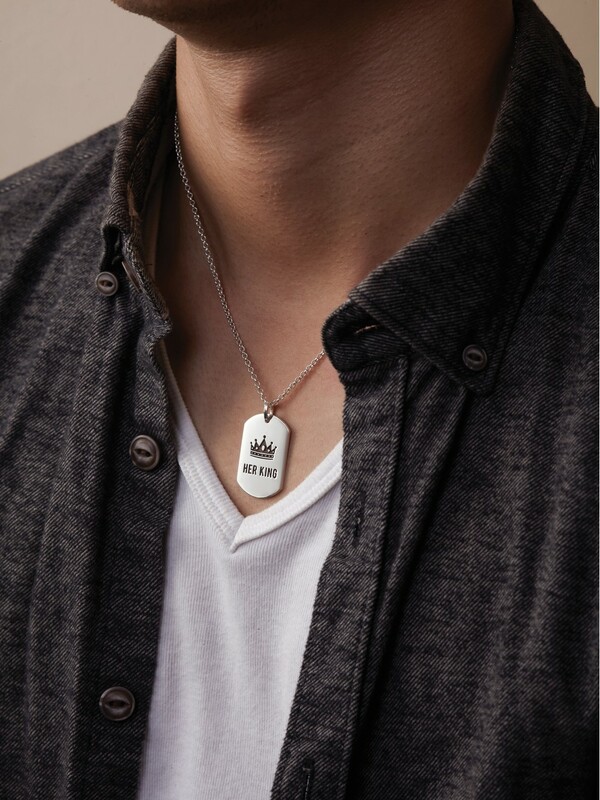 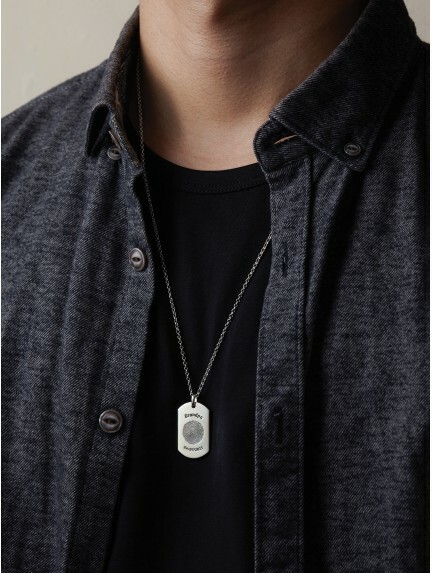 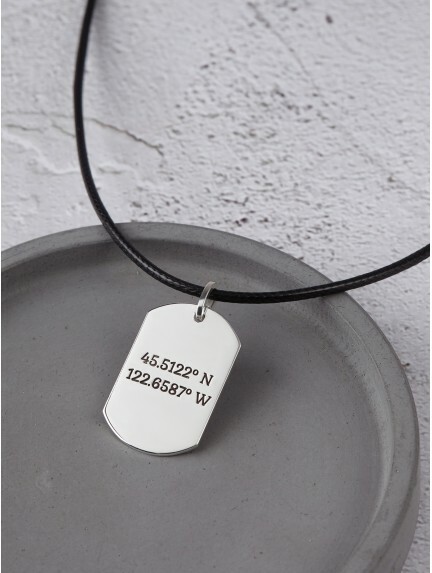 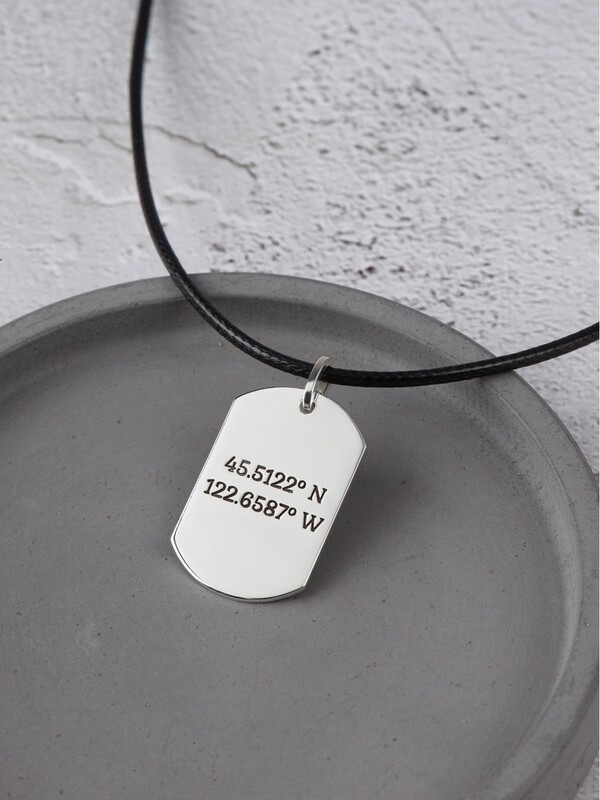 Handcrafted to order in our workshop, these men's dog tag jewelry are crafted from quality materials such as genuine leather or sterling silver. 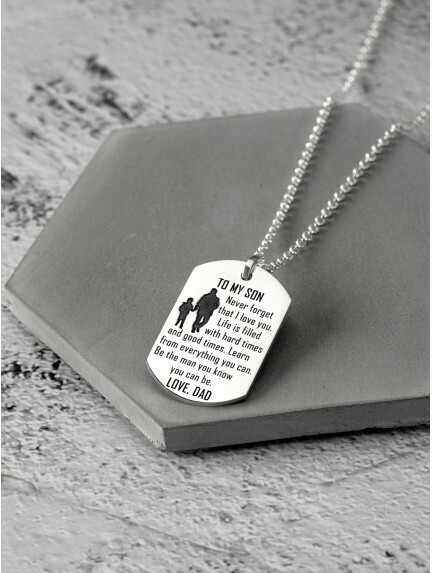 Engraved dog tags for men are classic, masculine gifts for anniversary, Valentine's Day or Father's Day. 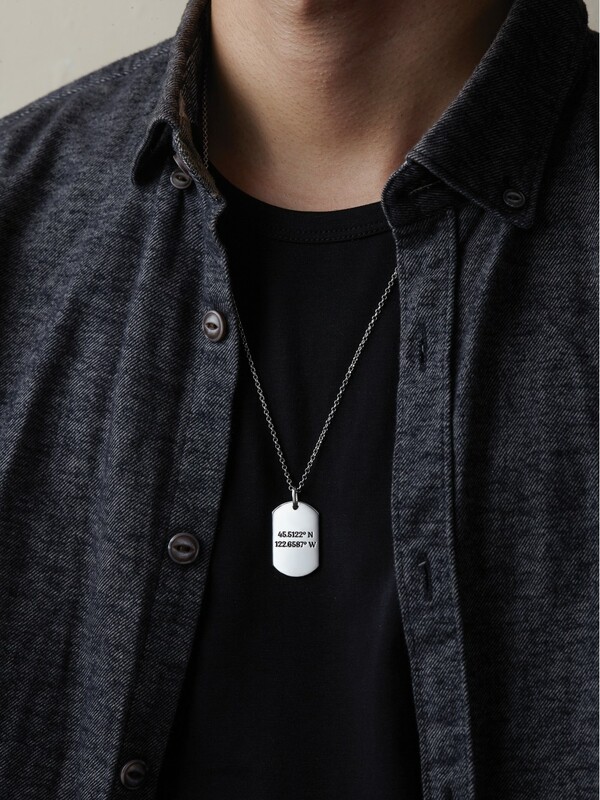 These custom dog tags for men remain our best selling gifts for him.